The well known publication Sweclockers.com recently posted something that was very interesting and seemed to confirm the suspicions we have been having as of late. 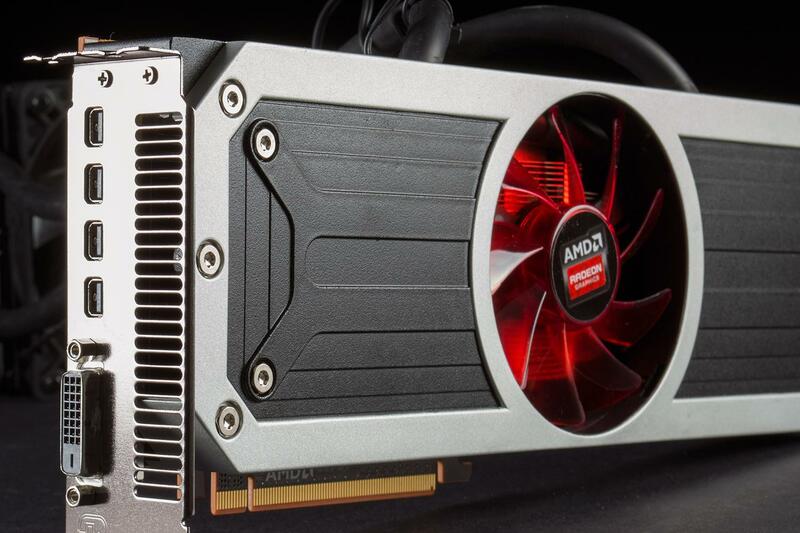 The publication alleges that the AMD Fiji GPUs are not going to form the flagship models of the Radeon R9 390X series, rather form their own separate niche of ultra high end, luxury products from AMD. Basically, the Titan-equivalent of Radeon. As with any post tagged as ‘rumor’ – this news is far from confirmed. However, it is also worth pointing out that 1) Sweclockers has a good track record of breaking leaks and 2) it actually makes sense. AMD revealed all the Radeon R9 300 series upto the R9 380 at the Analysts Day Conference. Surprisingly however, the R9 380 is actually the Tonga chip. That basically leaves only two slots: the R9 390X and the R9 390 GPU. Since we know that the Hawaii GPU is making a comeback in a more efficient revision that leaves no space for the Fiji GPU in the R9 300 series. A very slim possibility is the use of the R9 395X nomenclature but that is pure speculation. Far as we know, Hawaii XT and Hawaii PRO could very well be the R9 390X and R9 390 GPUs respectively. The Fiji GPU could form the ultra high end or ‘enthusiast’ product that AMD will use to tackle the GM200 powered Titan. This could also imply that the Fiji GPU will be priced higher than what consumers might expect of the product. This decision, if true, makes sense from a business perspective. AMD has been in much financial hardships these past few quarters and all eyes are on Lisa Su to make the company turn around. Another reason that I might indicate (but is no where near as reliable as the ones above) is the fact that there hasn’t been any confirmation of 8GB HBM for the Fiji base model – via leaks or otherwise. Although if the Hawaii GPU has 8GB worth of GDDR5 Memory – then the flagship simply cannot have 4GB of HBM Memory. Unless, it formed a separate branding altogether. I would have speculated more if this had been a few months back, but the Fiji GPU releases in a few weeks time anyways, so any further ado is pointless.